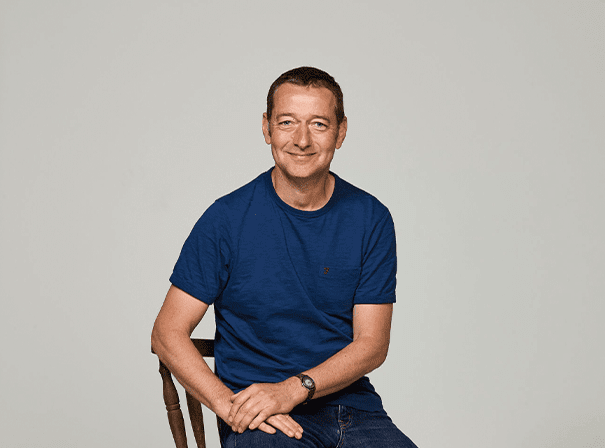 Ned Boulting is a multi-talented sports journalist and TV presenter who is available to come and share his stories from behind the sporting scenes at your corporate event, award ceremony and much more. Having earned a degree in Modern Languages from Cambridge University, Ned went on to work for Sky Sports back in 1997, his first gig found him working alongside the legendary Jeff Stelling on Sky Sports Soccer Saturday. Four years later Ned moved over to ITV in 2001 and has since been a key fixture in their presenting set up, covering a multitude of sports with equal passion, knowledge and skill. An insightful and likeable presenter, Ned has worked on a plethora of football events and is now one of ITV’s main cycling journalists, covering the Tour de France in great detail each year for the channel. Outside of regular presenting, Ned has also produced and directed his own sporting documentaries, one around Liverpool star Steven Gerrard entitled “A Year in My Life” for Sky 1 in 2006, and one on Dennis Bergkamp, lauded Dutch footballer, for Sky Sports in 1998. Ned has also written a number of books about the Tour de France and continues to cover the FA Cup, Champions League and Europa League on a regular basis. Awarded The Royal Television Society Sports News Reporter of the Year Award in 2006, there are few sports journalists with more talent than Ned Boulting.